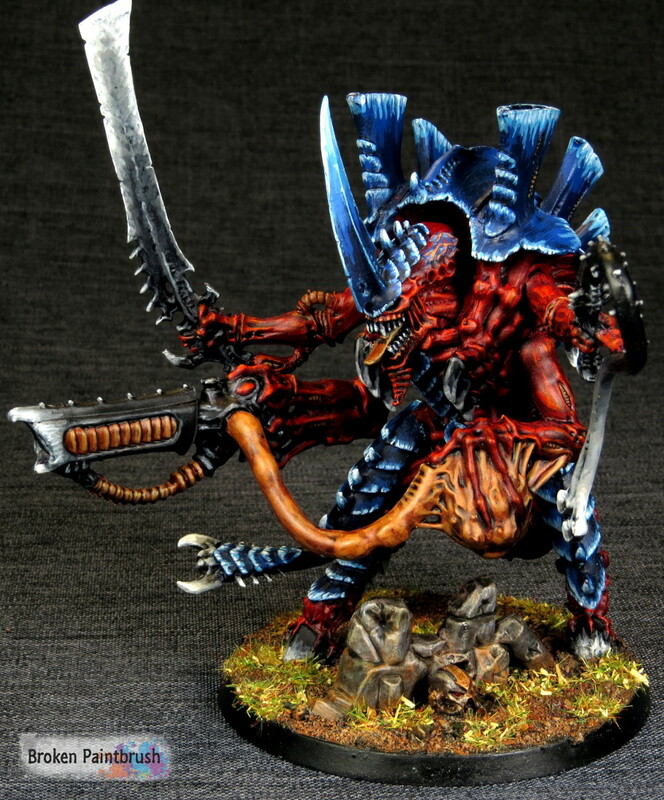 All armies need a powerful leader, and the galactic swarm of the Tyranids is no exception. So to lead my brother-in-law’s Hive Fleet Behemoth army growing on my shelf is a Tyranid Hive Tyrant – in this case, the old metal beast. 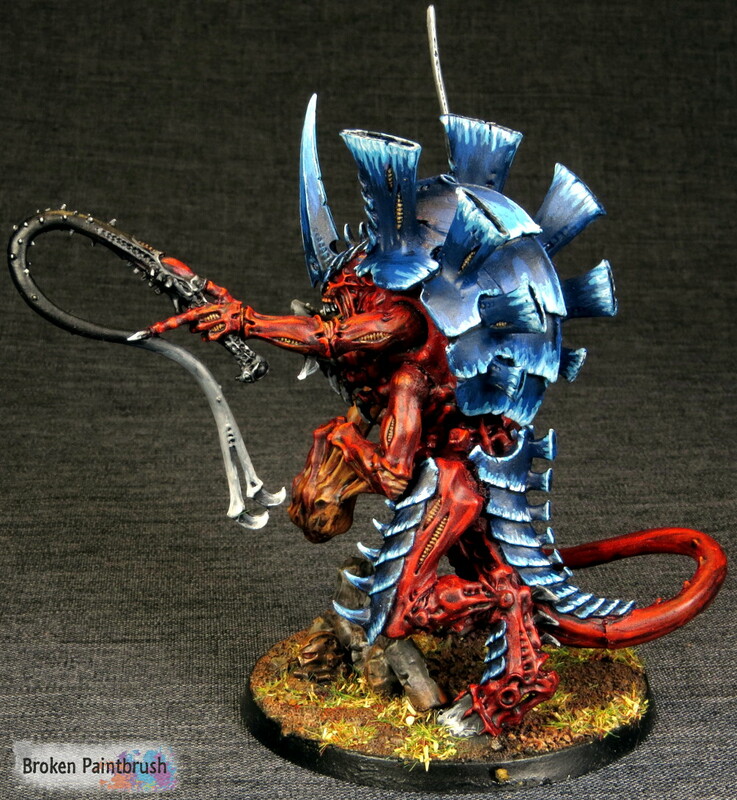 Much like my other Tyranids of Behemoth, the blue carapace goes nearly white rather the GW teal and the weapons are a black to white look. This shows through on the darker background here that I made with some black/gray cloth. I tried using the basic white background, but the tips of the weapons got lost. , the general look and feel are the same; it just contains more options. On the base is a bit of a shout out to my Iron Warriors. 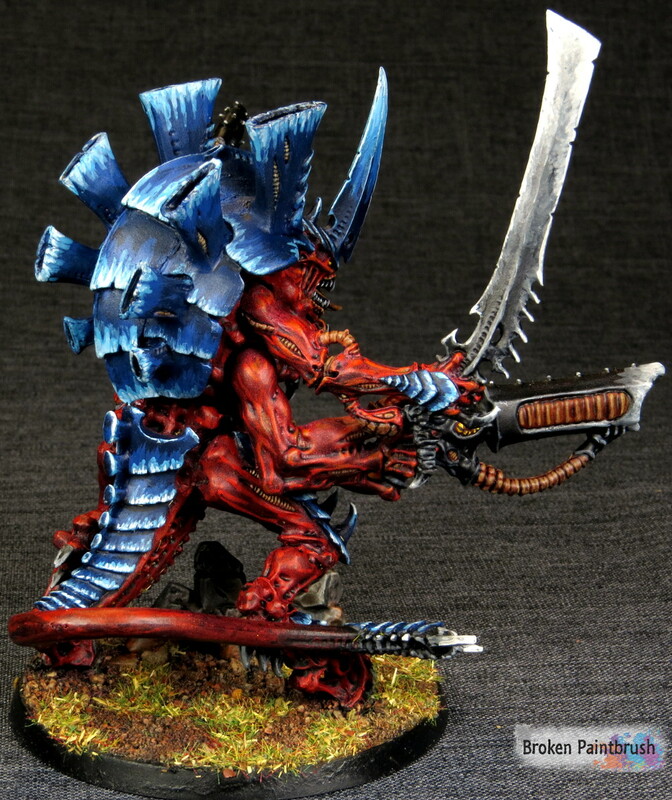 Fitting since a few of my terminators have Behemoth skulls on their racks. 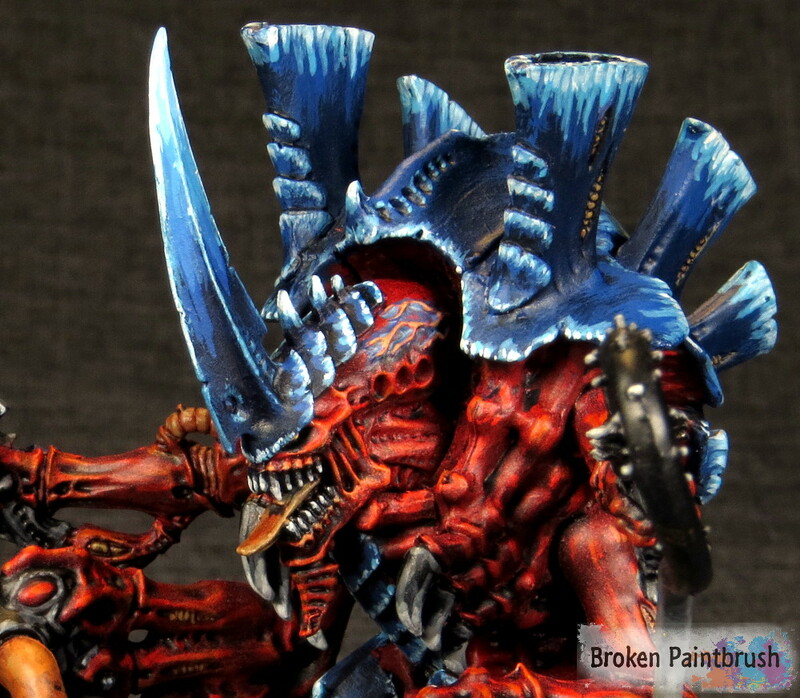 A close up of the face shows that I did not try too hard to blend the blues since I was going more for a gaming army and a striking contrast the blues were made pretty sharp with an only a few transitions to white. I also added a bit of blue around the head veins to highlight his mental prowess much like the Zoanthrope. 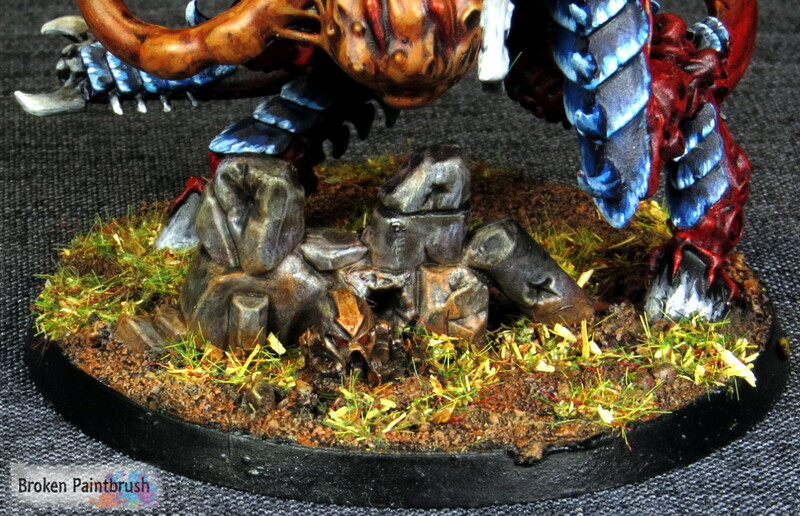 How do you guys like the darker background for the Tyranid Hive Tyrant? Does it help or does the fabric texture cause a distraction?